As a gentle, outer light shines downward, a different, invisible light — that of spiritual illumination — shines into the mind as a woman studies the teachings of Falun Gong. 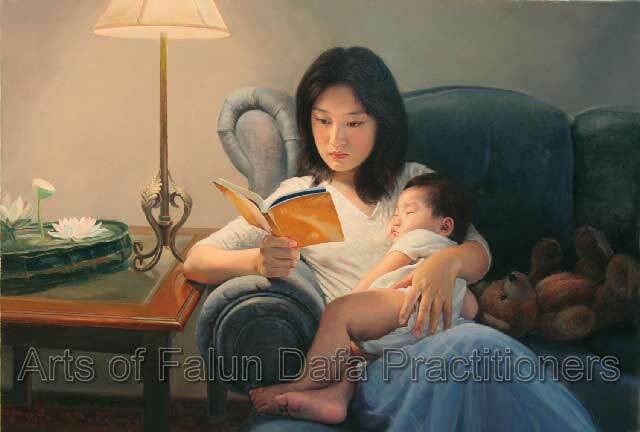 The child, resting serenely under one arm, signifies the harmonious balance that can be found between a rigorous spiritual life and regular family life. The gentle repose of the child mirrors the inner world of the follower of Falun Gong.